Most Frequently Asked Medical Spa Questions. 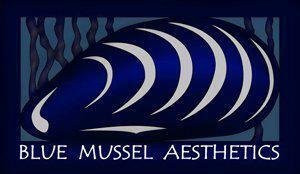 · Where is Blue Mussel Aesthetics Medical Spa located? We are located in the Gold Creek Professional Building 2 doors down from the downtown fire station, towards the water, next to the Capitol Service Gas station. It is a brown, shingled building. Address is 800 Glacier Highway, Suite 103. We have our own entrance on the east side of the building. Our name is on the door. We are 5 minutes from downtown, 15 minutes from the airport. · How do I make an appointment at your Medical Spa? You can book an appointment three ways: online from our webpage bluemusselaesthetics.com; contact us directly at 907-723-6188; or send us an email info@bluemusselaesthetics.com. · What hours is your Medical Spa open? Our front office is open M-F 9:30am-5:30pm. We also see clients by appointment outside of these hours on evenings and weekends. · Does Blue Mussel Aesthetics Medical Spa take medical insurance? We do not take insurance, however, payment can be made by credit card, check or cash. Payment in full is expected at time of service. · Is there a cost for a Medical Spa consultation? Yes, there is $50 fee for a skin consultation and a $100 fee for a Coolsculpting consultation, however this fee can be waived the day of consultation if services are provided. · What type of Medical Spa credentials do you have? All of our clinical staff are board certified professionals. Kathy Kartchner and Rebecca Young are Advanced Nurse Practitioners with over 30 years in the medical field. Lindsey Leder and Elisabeth Gundelfinger are Advanced Nurse Practitioners with a decade in the medical field. Lynn Hirischi is certified medical assistant with over 25 years in the medical field. · Do I need to do anything special prior to laser hair removal? We recommend shaving the area to be treated 24 hours prior to treatment. No plucking or waxing 3 weeks prior to treatment. · What type of laser does Blue Mussel Aesthetics use? We have three lasers a Cynosure Elite plus, a Cutera XEO Laser and a MonaLisa Touch Fractional CO2 Laser. Between these lasers we can offer many services including an IPL photofacial, Pearl Fractional Laser and Vaginal Rejuvenation. · Can I exercise prior to treatments? You can exercise prior to treatments, we will request avoiding exercises after several treatments, such as injectables and some laser therapies. · Am I a CoolSculpting Candidate – Take this quiz and find out.